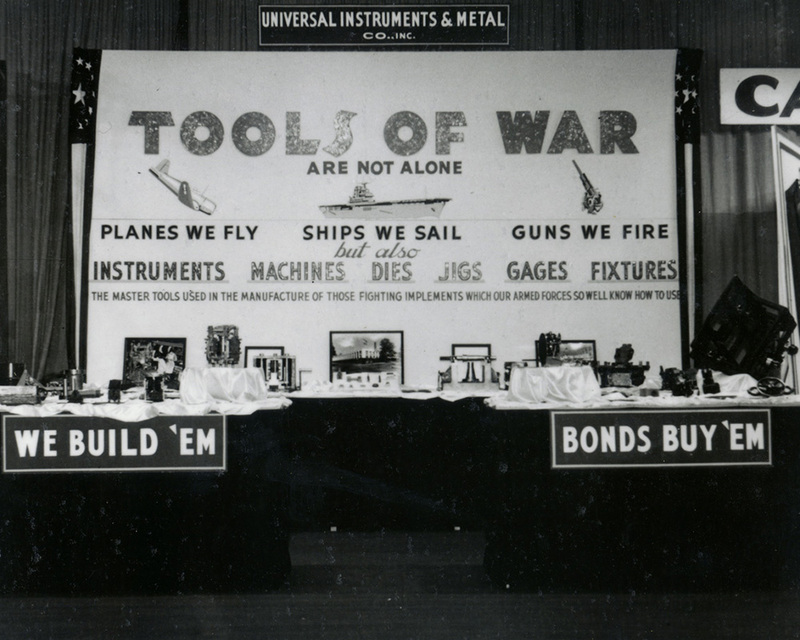 The Universal Instruments and Metal Company was formed July 15, 1919. A sale of stock to 50 investors in Vestal and Union enabled six employees to set up shop in Vestal to manufacture wire and metal products. Company officers contracted to obtain the patent to produce “Nu-Hed” safety pins. The design proved difficult and costly to manufacture, and the product was impossible to sell. 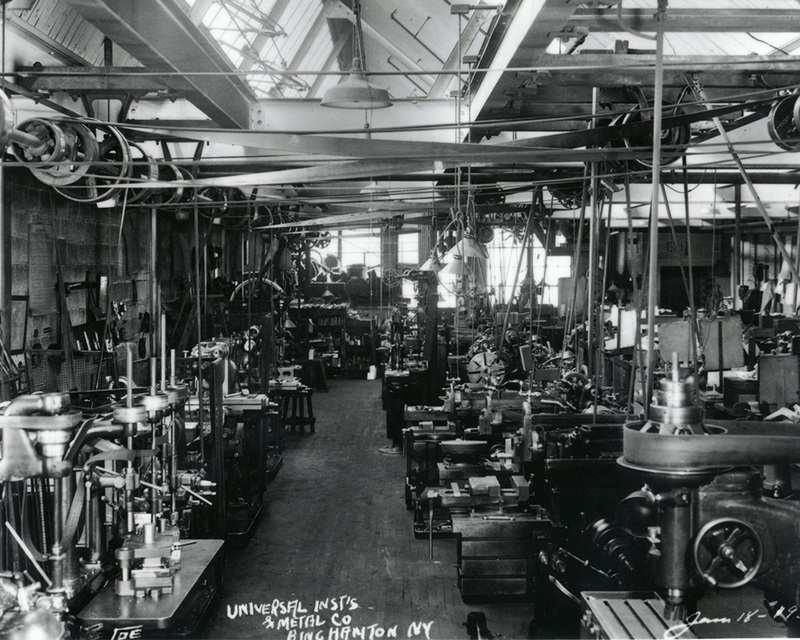 Universal’s tool and die talents were pressed to answer New York State’s small arms manufacturers’ demands for gauges and fixtures (such as Ithaca Gun, Buffalo Arms, and General Motors) Other defense contractors such as IBM, Bendix-Scintilla, Eclipse Machine, Remington Rand, and Link Aviation required customer tooling and machining. Universal adds Brewer-Titchener and Wilkinson Manufacturing of Binghamton; Morse Chain and Allen Wales, Adding Machines of Ithaca, Scintilla Magneto of Sidney, and Smith Corona Typewriter of Syracuse and Groton to customer list. Personnel and machine growth requires expansion; basement quarters are leased. The Great Depression continues; Universal survives by cutting costs and investing in new equipment. 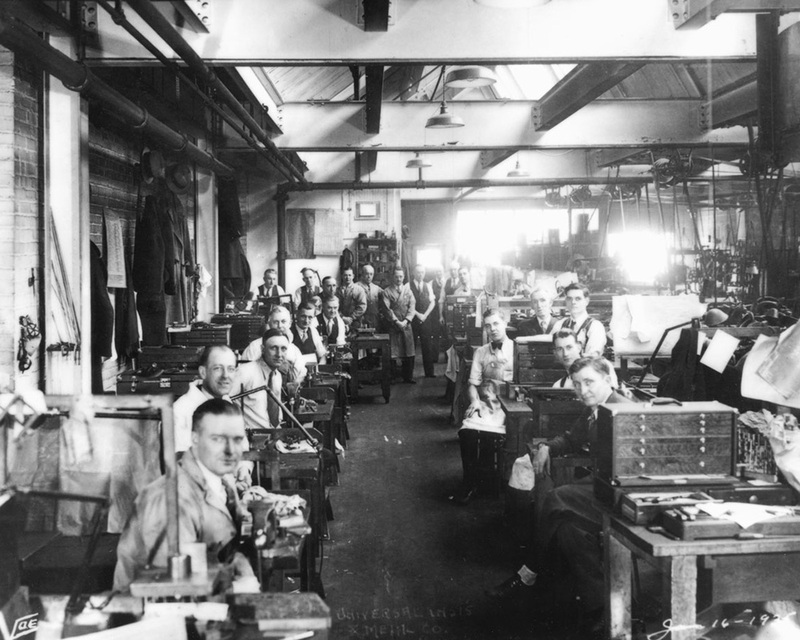 War material production increases, greater demands placed on the Company’s modest resources; staff doubles work hours to meet customers’ demands. Joseph F. Ahearn elected president of company, but succumbs to illness in 1947; J. Donald Ahearn (Joseph’s son) is elected President & CEO. Link Aviation Devices uses Universal talents to expand flight trainer developments and production. Universal changes from war production to peacetime pursuits; enters short run stamping era. Search for larger quarters necessary; East Frederick Street building purchased. Employee count increases to 83. 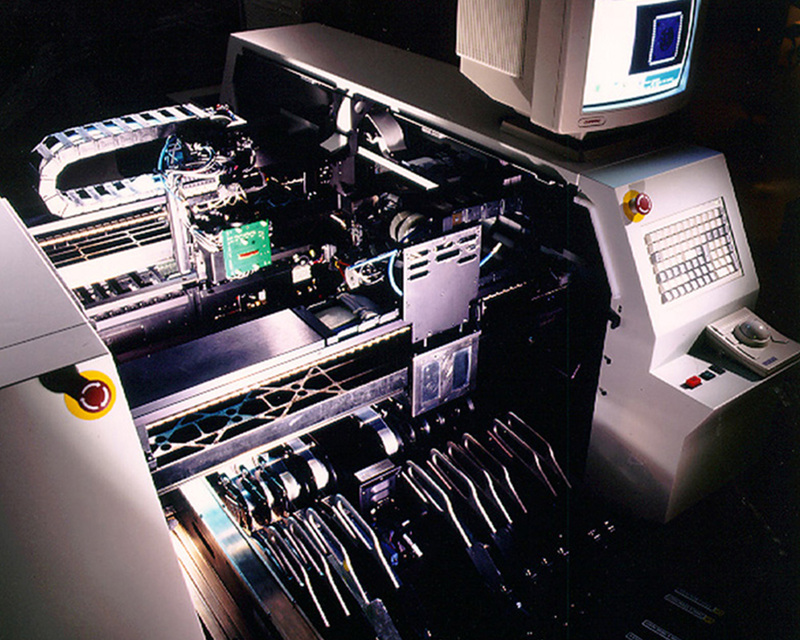 Universal engineers and IBM (Kingston) specialists devised a method of preparing axial lead components for IBM’s printed circuit board assembly. 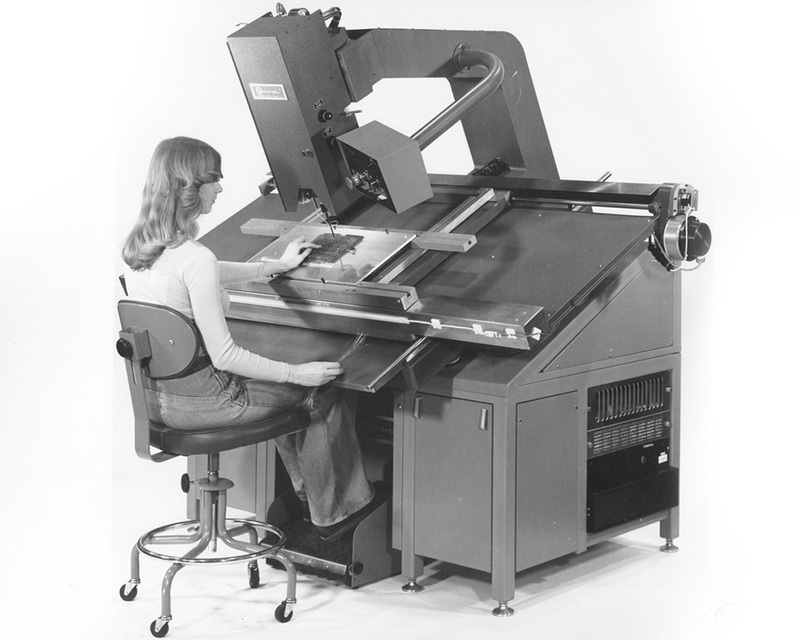 The “taping machine” was born and opened the door for Universal’s electronic component equipment era. Company produces thousands of frames for modular plug in units used in the production of TVs. President J. Donald Ahearn begins restructuring the company to capitalize on the burgeoning electronics industry. Universal begins building component prepping equipment for component manufacturers across the country. F.H. Lawson hired from Link Aviation; becomes Vice President and Board member. Company purchases 36,000 square foot building and 10 acres at Bevier Street. Annual revenues hit $1,500,000; 170 on payroll. 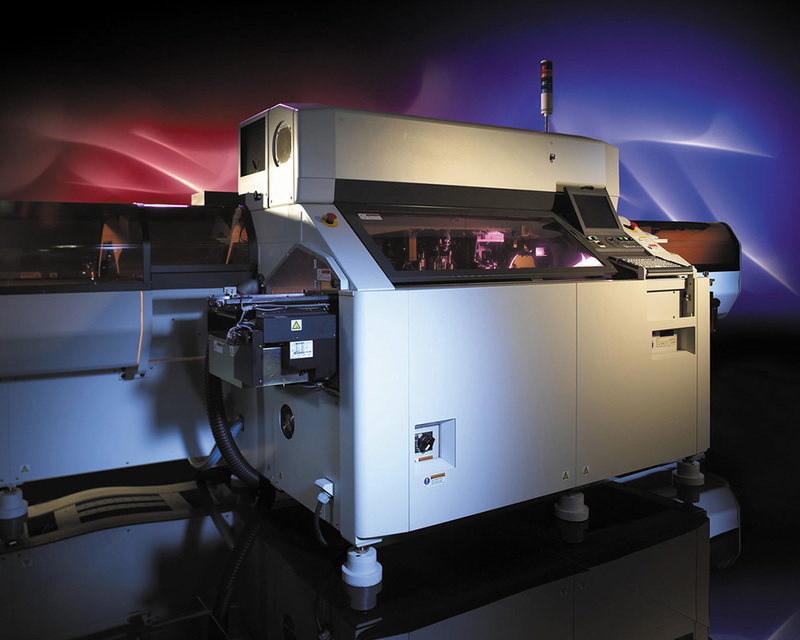 Licensed authorization of design features from IBM and United Shoe Machines’ Dynapert Division allows Universal to manufacture printed circuit board insertion equipment. 1st sale of Universal’s insertion equipment to Remington Rand Univac at Utica, NY credited to President Ahearn and Engineer, Phil Ragard. Transistors replace vacuum tubes in IBM Computer circuitry. Universal asked to design and manufacture preparation equipment for these and other odd shaped components. 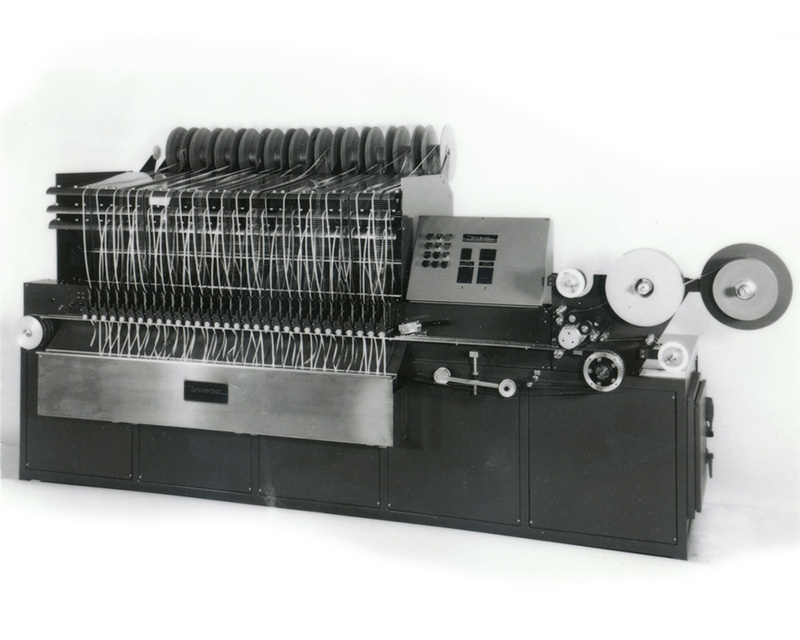 Universal’s first Sequencer—a machine to select random components from reels and respool insertion sequence is introduced; sold to Western Electric, Chicago. Company goes public; sells 275,000 shares over the counter at $11.50 per share. Shareholders approve Universal merger with Dover Corporation of New York City, NY. MEA production expands; awarded IBM contract to assembly thick film substrate for a new phase of computers. First & second overseas offices open to market products to Germany and central Europe. Sale of a Sequencer and a Dual Head VCD inserter to Standard Telephone and Cable Party Ltd. opens Australian market. 72-station mixed DIP machine shipped to Hughes Aircraft, Fullerton, CA; establishing our long-standing relationship within the aviation market. Man-U-Sert and Mod-U-Sert machines introduced at NEPCON/East trade show in Philadelphia, PA.
Record hiring of 433 employees brings headcount to over 800. Radial Lead Component Sequencer/Inserter product line introduced; well received by customers. Universal and Sanyo Electric, Japan enter “strategic partnership” with reciprocal exchange of machines to strengthen our position in surface mount market. Surface Mount product line gets two new additions; entry level Omniplace® Flexible Placement and Ultraplace® High Speed Chip Placement machines. Universal’s Advanced Process Lab (APL), founded by George Westby, is created to help Universal’s customers optimize their SMT processes. MEA’s 17-year association ends as that division separates to become Dover Electronics Manufacturing (DEM), a subsidiary of Dover Technologies. F.H. Lawson retires, ends 27-year service record. John Peebles elected as sixth Universal President. General business recession hits electronics industry; downturn in orders begins. John E. Pomeroy assumes temporary presidency and CEO of both Universal & Dover Technologies Inc.
Universal receives patent for “Advanced Digital Motion Control,” allowing multiple acceleration, deceleration, and velocity rates for Surface Mount placement. SMT/TAB Bonder with the first application of platform concept shipped to Apple Computer. GSM1™ machine produced and shipped to Motorola, TX who chooses platform for their advanced manufacturing technologies; GSM1 acceptance proven by installation at 33 customer sites. APAS Division ships first GSMxs™ high-accuracy placement machine to Hewlett Packard, Fort Collins, CO. The revolutionary Lightning™ Head is introduced. This 30-spindle high-speed chip placement head strengthens Universal’s position in the mid-range and high-speed flexible market. The release of the HSP 4797 launches company into the high-speed chip placement market. GSM Genesis™ platform is released as the next generation dual-beam platform. Single-beam AdVantis™ platform is introduced to address the mid-range market. 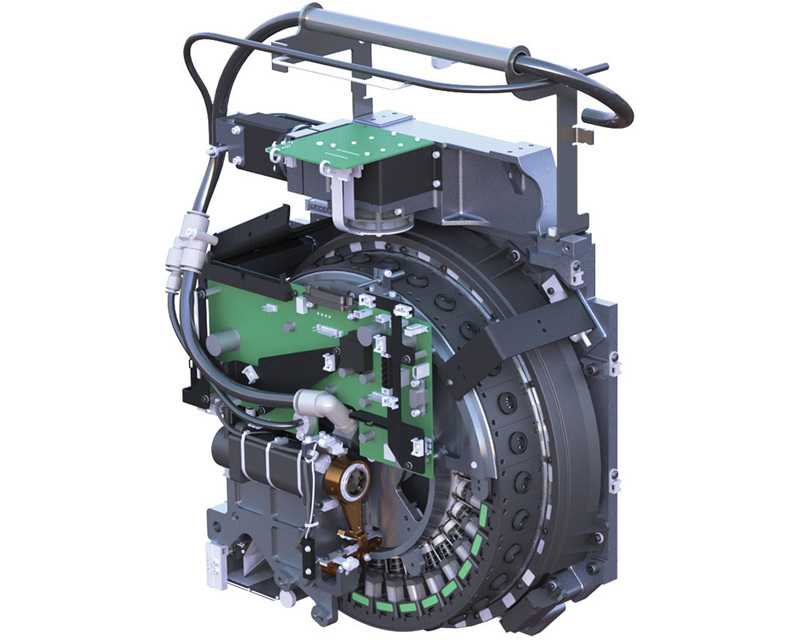 Introduction of Polaris Jr. complements the existing Polaris Multi-process assembly cell. Quadris™, a quad-beam SMT placement system, hits the high-speed market. Dimensions™ Manufacturing software; a leading-edge factory automation software to optimize efficiency and productivity, is launched. Jean-Luc Pelissier takes the reins to become Universal’s eleventh (and current) President & CEO. 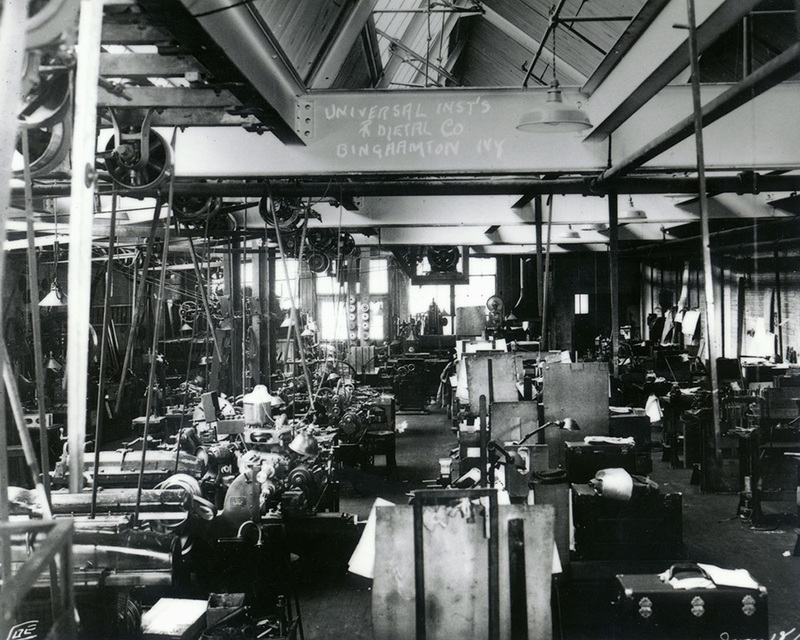 Since our founding in 1919, Universal has been dedicated to embracing technology and innovation to enable our customers’ success. We are actively engaged in strategic partnerships with some of the world’s largest industry innovators at the forefront of their markets; Automotive, Consumer, Infrastructure, Mobile and more. 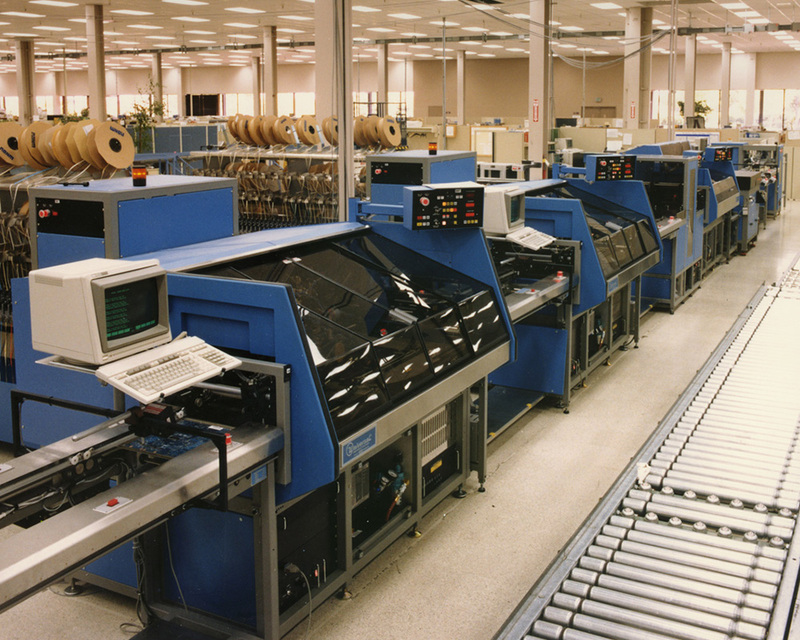 . .
We offer the broadest equipment range in the industry; – Surface Mount, Insertion Mount, Advanced Packaging, Automation, Component and Die Handling Solutions; 25,000+ systems installed globally. 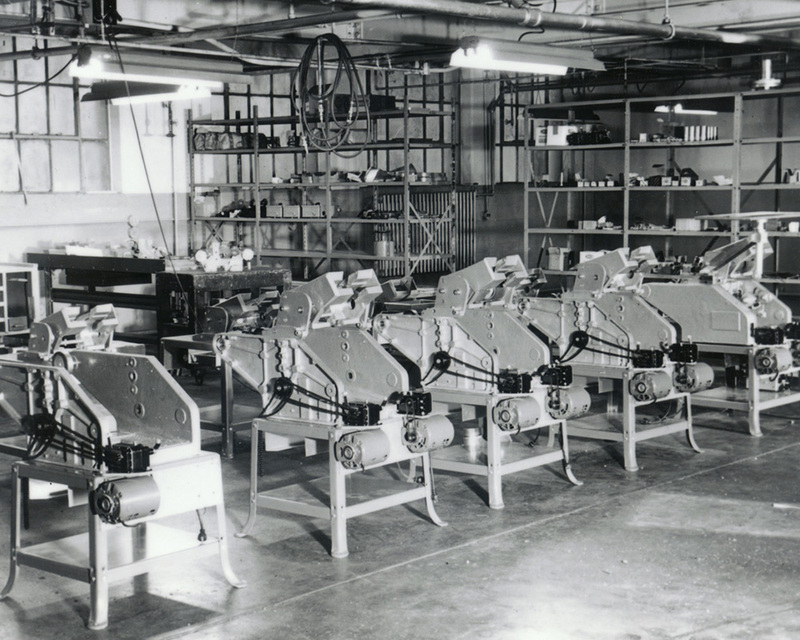 Our proud engineering heritage drives our continuous investment in R&D leading to 370+ patents. We have a strong global infrastructure: offices throughout US, Europe, Asia & SEA, filled with a diverse and talented team from a variety of backgrounds. As our second century dawns, we’re ready. We will continue to build upon our proud heritage of engineering and disruptive innovation to drive the future of the electronics industry, and to deliver products that inspire our customers to build better!